Pirates and Blackjacks and Side Bets, Oh My! Before the days of internet casinos, blackjack came in just a few basic forms. The rules differed a bit from table to table. Single- and double-deck games were common. Side bets were a rare find. 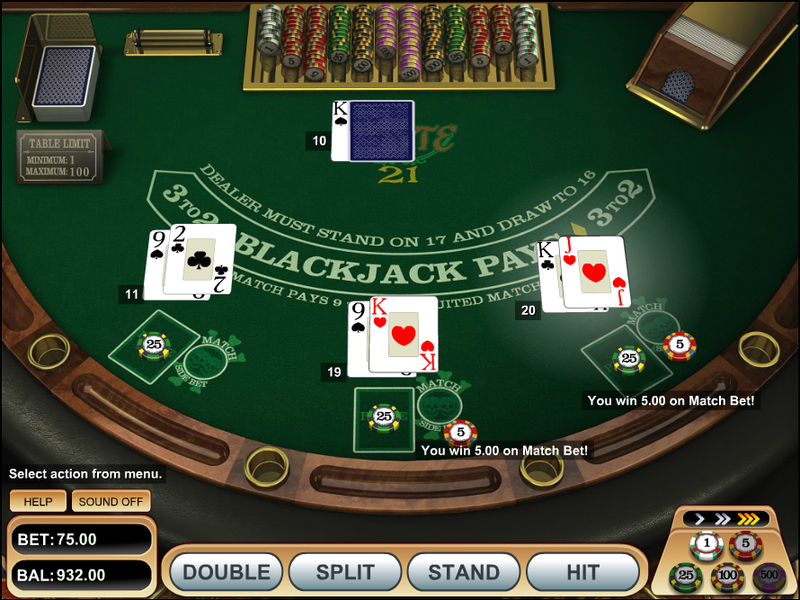 With the emergence of online gambling came the introduction of myriad rule sets and a plethora of side bets, including one unique game is known as Pirate 21. This blackjack variant isn’t exactly new, but it’s not exactly common either. According to my research, it first appeared over a decade ago when a now-extinct software company by the name of Diamond Games introduced it in 2004. More recently, it was re-introduced by leading games developer Betsoft. I can’t say whether the rules of Pirate 21 are identical between the two brands, since I never played the original, but it is remarkably similar to a more common variation known as Spanish 21, especially when comparing the multifarious ways to win a hand, and that’s before the optional side bet even comes into play. Don’t get me wrong – Pirate 21 isn’t going to give you a distinct advantage over the house. It is a casino game, after all, and every casino game comes with a house edge, but if you’re looking for something a bit different, Pirate 21 is definitely up your alley. In this case, with a premium strategy, the house edge is approximately 0.76%. The object of the game is no different than your standard variety of blackjack. The goal for every player is to achieve a hand total of 21, or as close to it as possible without busting. If the player’s hand is higher than the dealer’s, without exceeding 21, the player wins. However, achieving any hand total of 21 automatically wins. Pirate 21 is a multi-hand blackjack game, meaning a player can participate in up to 3 hands per game. The default minimum and maximum table limits are set at $1 to $100 per hand. Unlike traditional blackjack, Pirate 21 uses something called a ‘Pirate’ deck, or what’s more commonly referred to as a ‘Spanish’ deck. This means there are no 10’s in the shoe. Generally that’s bad for players, meaning less natural blackjacks will be dealt, but in this blackjack game, any total of 21 automatically wins, whether it consists of 2 cards or more. This optional side bet pays if either of the player’s first two cards match the up-card of the dealer. If the matching card is of a different suit, the side bet pays 4:1; if suited, 9:1. Note that if both cards match the dealer’s up-card, only the highest paying match will be paid.